alumni UBC has launched a new online mentorship program. 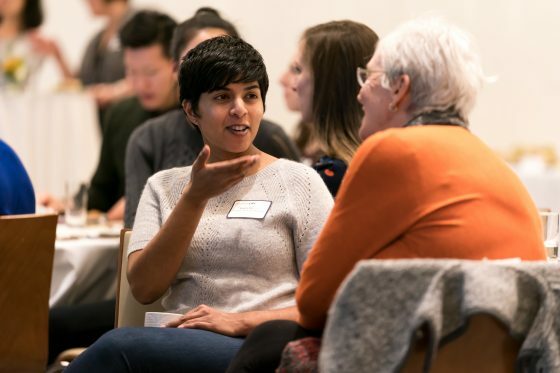 If you are a graduate of UBC or a current student, alumni mentors are available now to connect with you. This is a powerful way to tap into the collective knowledge, wisdom and experience of your alumni UBC network. What Kind of Assistance Can Mentors Provide? How do Mentors Communicate with Alumni and Students? All initial connections with mentors are made through the UBC Hub on the platform Ten Thousand Coffees. After initial contact is made, mentors may choose to communicate over email, video conferencing, or in person at a public place like a café. If you choose to meet at the Robert H. Lee Alumni Centre on UBC’s Vancouver campus, you and your mentor are entitled to free meeting space and a complimentary beverage from Loafe Café. Contact alumni.ubc@ubc.ca or 604-822-3313 to reserve your space, and pick up your beverage voucher at the front desk upon arrival. 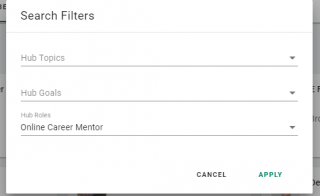 To gain access to the alumni UBC mentor database, create a free profile on the UBC Hub. In the Member section, click on ‘See All’ and select the drop down menu. 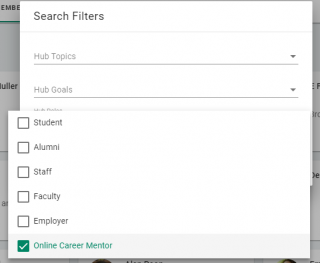 You will now be able to view the profiles of all alumni mentors. 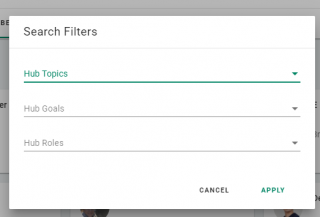 Their profiles will help you discover if their interests and background match your professional goals. You can then send a message to one or more mentors to let them know what you are looking for. If you already have a vibrant professional network, this is an excellent way to enhance it. If networking is not something that comes easily to you, this is a great starting point. Our Online Career Mentors are expecting to hear from you which removes the trepidation that sometimes accompanies making the initial connection. If you are a student or alumni of The University of British Columbia, I encourage you to take full advantage of this new career building opportunity. 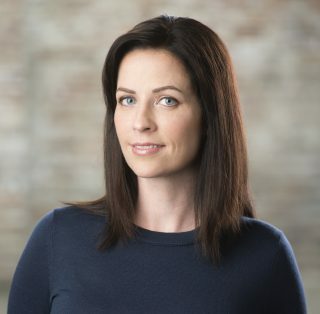 Michele Murphy is the Alumni Career Educator at alumni UBC. For support at every stage of your career development process, visit us on alumni.ubc.ca/careers, follow us on Twitter @alumniUBCcareer, and connect with Michele on Linked In. Would you like to be a guest blogger? We invite UBC alumni with career development knowledge or industry insights to contribute to our career blog. Email michele.murphy@ubc.ca with your submissions.